EMV is a fraud-reducing technology that can help protect issuers, merchants, and consumers against losses from the use of counterfeit and lost or stolen payment cards at the point-of-sale. EMV cards are embedded with a microprocessor or smart chip that interacts with the merchant’s point-of-sale device to make sure that the payment card is valid and with the use of a PIN that it belongs to the person using the card. This kind of chip technology adds layers of security against fraud and is virtually impossible to duplicate. What is the timing for EMV in the U.S? Chip-based EMV payments are coming to the United States. Starting in 2011, the four major payment brands introduced their roadmaps for EMV technology and encourage its adoption. 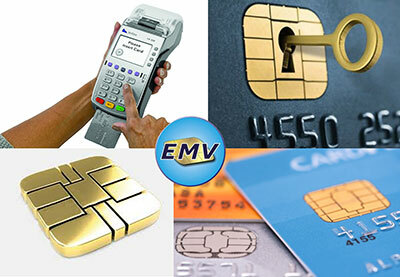 In April 2013, the first domestic milestone required processors to accept EMV–based payments from merchants. October 2015 will mark the next major milestone where the fraud liability shift for all point-of-sale devices (except Automated Fuel Dispensers) will take effect. Does TekCard Offer EMV ready terminals and POS systems that are compatible? Yes and Yes! TekCard brings you the latest in EMV ready credit card terminals, both dial-up and high-speed Ethernet. 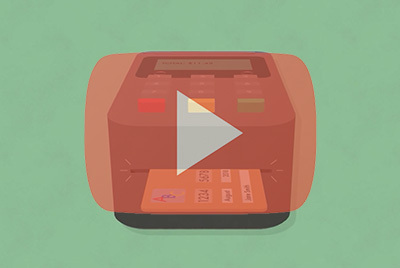 TekCards POS System (TekTouch POS) comes EMV, Apple Pay, and NFC-ready! Have a question on a specific model? Ask us!